After a huge electoral victory that saw his party win a two-thirds super-majority, Hungarian prime minister Viktor Orbán has announced tougher immigration rules and his vision of a Hungary built on “Christian democracy”. The Hungarian leader announced his new plans in a radio broadcast on Friday, saying: “We are building a Christian democracy. An old-fashioned Christian democracy whose roots are in the European tradition, where human dignity is essential and where there is a separation of powers,” newspaper Ouest France reports. “We will defend the Christian culture and we will not give the country to foreigners,” Orban added, and spoke about a proposed constitutional amendment from 2016 to limit mass migration, which failed to pass due to the government not having the required two-thirds majority in parliament at the time. “I feel obliged to implement this constitutional amendment now,” he said. 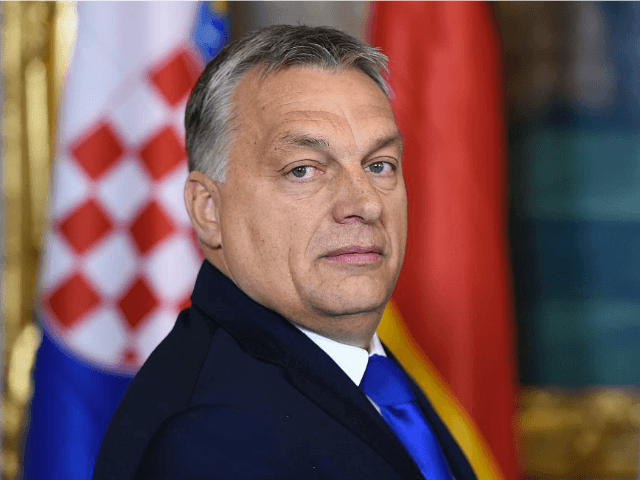 The amendment could increase the rift between Orbán and the European Union, as it also states that the country will reject any EU rules or policies that could radically change the ethnic makeup of the country or infringe Hungary’s territorial borders. On the topic of the European Union and its recently announced 1.24 trillion euro budget, Orbán said he would not support the budget, claiming it would help fund mass migration. As part of the budget announcement, the EU added a new policy that could see countries not upholding so-called “EU values” having their funding cut off. A major part of the campaign of Orbán and his Fidesz party was the influence of left-wing billionaire George Soros and his vast network of pro-mass migration NGOs. “George Soros has an army of shadows working in Hungary. We want to unmask it. We want to show that migration is not a human rights issue but a national security issue,” he said.